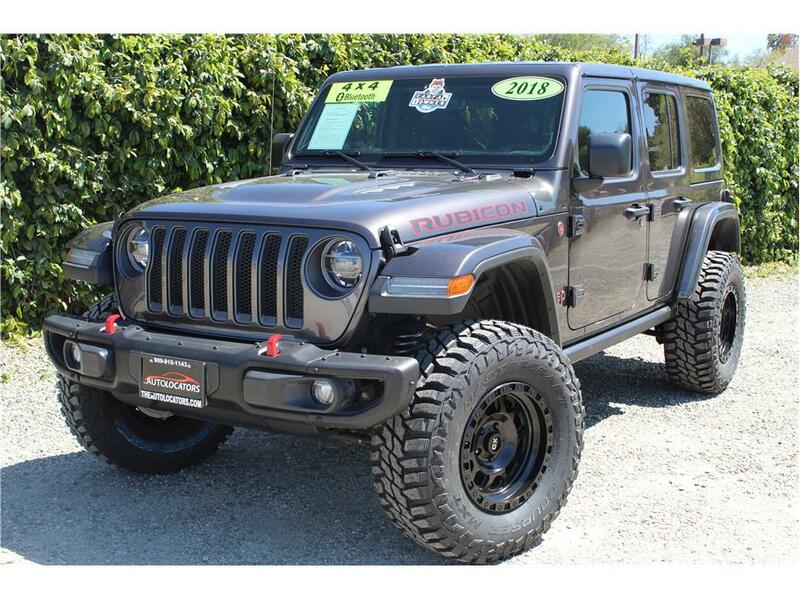 This newer 2018 Jeep Wrangler Unlimited Rubicon is one sweet ride that has the updated V6 3.6L engine with the new powerful eight speed automatic transmission. This is a Granite Crystal Metallic Jeep was built up with a brand new 2.5inch Rubicon Express lift with FOX 2.0 shocks in the front and the rear, five brand new 35inch tires with five new KMC XD Robby Gordon 17 inch wheels. This luxurious Jeep has all the new bells and whistles, such as the upgraded 8.4 inch touch screen display with navigation, Alpine premium audio system, Integrated Apple and Android play, Technology Group, heated leather seats, color matched 3 piece hard top and fenders, Parkview Rear Back up Camera, LED headlights, Blind Spot and Cross Path detection, Interior Auxiliary switches for future lights, power windows, power door locks, power mirrors, keyless Push button start, and more USB charging ports then you could ever want to charge your devices. We are a dealership that has specialized in customizing Jeeps for the last 17 years and we are excited to work and play with these new JL. If you are ready for the next generation then come on down before it sells!